2019 Camping reservations are open! To make a reservation by phone call 1-855-811-0111. 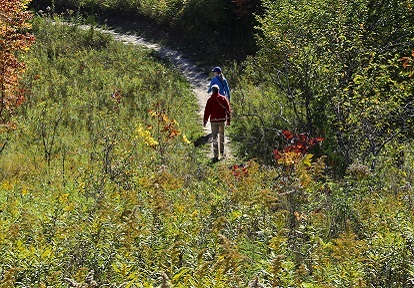 Toronto and Region Conservation operates three unique family campgrounds within the Greater Toronto Area: Albion Hills, Glen Rouge and Indian Line. Indian Line and Glen Rouge are the closest campgrounds to downtown Toronto, and offer easy access to local amenities and attractions. Albion Hills is a short drive from Toronto suburbs, and offers the perfect escape from the city, with scenic trails perfect for mountain biking, hiking and nature watching, as well as family-friendly facilities that include a new pool and splash area. 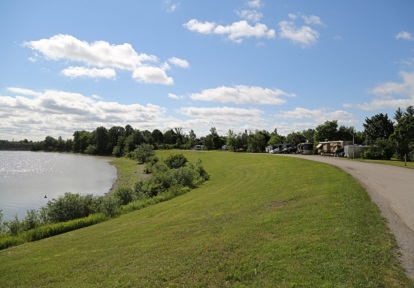 All TRCA campgrounds offer serviced and unserviced sites, and have pull-through capabilities for trailers and motor homes. Indian Line campground is fully-serviced. All locations offer daily, and monthly camping. Camp close to home, within Albion Hills Conservation Park. Swim in our pool*, set against the backdrop of nature. Enjoy mountain biking, bird watching, and more! 234 serviced and unserviced sites, and pull-through sites for RVs. Electrical services and dumping stations available for registered guests. Amenities include: Campground store, washrooms, showers, fire pits, children’s play areas, wireless internet in the chalet. The only campground located within the City of Toronto. 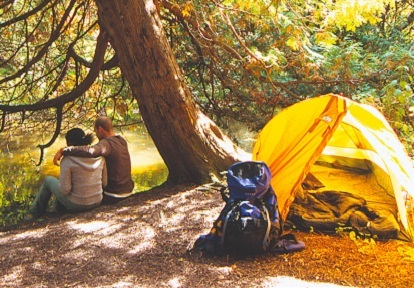 Camp within the natural beauty of a park, along the Rouge River. 125 sites, including 87 that are serviced for recreational vehicles, 27 unserviced sites and five designed specifically for backpackers. Walking distance to public transportation. Pumpout station for registered campers. Amenities include: Washrooms, showers, fire pits, free general admission to Petticoat Creek Conservation Park and a Petticoat pool discount. Excellent highway and public transit access to all major Toronto-area attractions. The Claireville Dam gives this first-class tourist campground an on-the-lake feel. An inexpensive alternative to staying at a hotel. 247 serviced, unserviced, sewer sites and pull-through sites for RVs. RV, trailers, and tent accessible. 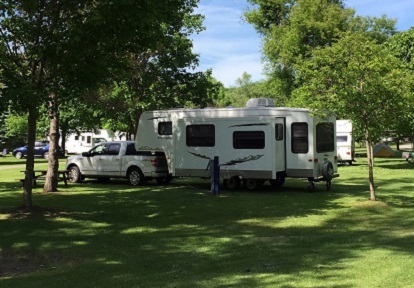 Amenities include: Campground store, free wireless internet, swimming pool, children’s play area, coin laundry, clean washrooms and showers, dumping station for registered campers.